Welcome to the Children's Room on the Ground Floor of the Library. 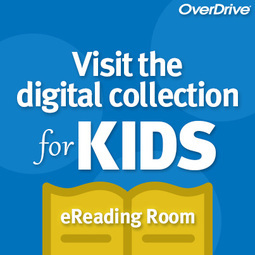 Here you will find all of the Children's materials including fiction and nonfiction books, graphic novels, world language books, audiobooks, DVDs, CDs, video games, and educational board games. In addition to those items, there are many fun activities for children to do such as a puppet theater, Community Helper costumes, a train table, puzzles, and more. Tanya is the Youth Services Librarian. Check out the upcoming programs that she has designed to educate and entertain children. Event hosted by Child & Family Resources, Inc. and Child Advocacy Center of the Fingerlakes. Ages 6- 10. Join us for a fun afternoon with friends as we play board games and have a snack. ​Join us for an evening story time with the theme of RAIN. Event is open to ages 3 to 6 and their parents. This 30-minute interactive program for Toddlers, 18 to 36 months, and their caregivers features stories, finger plays, action rhymes and songs. Mondays from 10:30-11 AM when in session. Click here to register. ​Listen and learn at this program designed for children ages 2-5. Join in the fun with stories, songs, and rhymes led by Tanya, Tuesdays when in session from 10:30-11. Click here to register. ​For kids 18 months through beginning kindergarten. The goal of this program is to read, very simply, 1000 books before kindergarten. Click here to see how you can get started on this lifelong love of reading and learning. ​Designed for infants-toddlers up to 2 years old and their caregivers. A great way to start the day with a story, a few songs, and ends with free playtime. Wednesdays from 10-10:30 when in session. Click here to register. The Children's Room always welcomes support from the community. Fill out our ​Suggest a Purchase form if you would like to recommend an item for the collection. Alternatively, if you purchase an item for the library's collection, once it is ordered and processed, you may be the first to check it out! Also, we place a commemorative bookplate in the item(s) to honor the donor. Available for free only to those physically in the Geneva Library building. ABCmouse.com is the most comprehensive early learning curriculum available online. With more than 3,500 learning activities and 450 lessons for preschool up through early primary grades, this program is free through the library. Click on the image to check it out now.